Partners created more than 84,000 opportunities and drove over US$14 billion in revenue for IBM during 2018, triggered by the migration of multiple tools to My Sales Activity (MySA), a single portal that helps partners manage their business with the vendor. IBM partner ecosystem general manager, John Teltsch, revealed the statistics during his opening address at PartnerWorld in San Francisco, but also admitted there was still more work to be done. “As I reflect on 2018, you joined us on a journey to return to growth, take market share and transform together," Teltsch said. "Your candid feedback helped us to understand what your needs are and what’s required from us. “We focused on three things - enriching the partner experience, simplifying benefits and incentives; providing skills and increasing productivity." Big Blue also made additional enhancements to the PartnerWorld on-boarding process, cutting the time to on-board new partners by 70 per cent in the process. According to Teltsch, this has resulted in the addition of 13,000 net new ecosystem partners in 2018. Teltsch highlighted how the vendor will continue to accelerate these changes and make more improvements in 2019. “We weren’t doing so well 24 months ago, but I’ve listened to your feedback, and we’re going to change how we operate, there’s more to do in 2019,” he said. Delivering on revenue, taking market share from competitors and listening and acting on partner feedback, are top of mind for Teltsch in the year ahead. Touching on IBM’s acquisition of Red Hat, Teltsch couldn’t reveal too much, other than to say the channels will be kept separate for a period of time. “The channels are very different and so are the incentives, training and skills," he explained. "And we’ll keep them separate for a period of time. "We have to be sensitive to their client set, which are some of our major competitors and we have to be very careful to keep their independence from our two companies as we move forward." 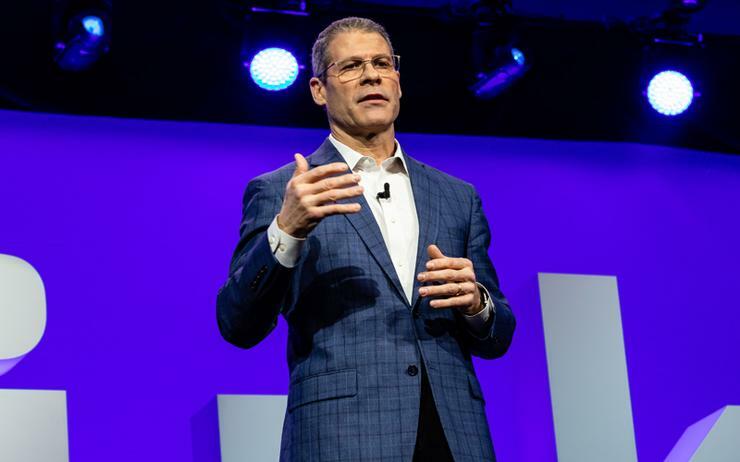 The tech giant rolled out new initiatives, including its Watson-based collaboration engine called IBM Business Partner Connect; My PartnerWorld; new software deal registration and IBM Power Systems, LinuxONE and Z ‘In It to Win It’ incentives. The program was piloted during the fourth quarter, and has so far generated more than 300 unique matches, Teltsch said. During its fourth quarter results, Big Blue pointed out that its cloud business grew 12 per cent to US$19.2 billion in 2018. In addition, the company's cognitive software business, including its artificial intelligence platform Watson, analytics and cyber security services, which is also its second biggest business, reported sales of US$5.46 billion, compared with analysts' expectation of US$5.25 billion.